Because inventory is usually one of the biggest numbers on their balance sheet, effective inventory control and management is a vital function to help insure the continued success of distribution and manufacturing and companies. The effectiveness of inventory control is typically measured by how successful a company is at reducing inventory investment, meeting its customer service goals, and achieving maximum throughput and cost containment. 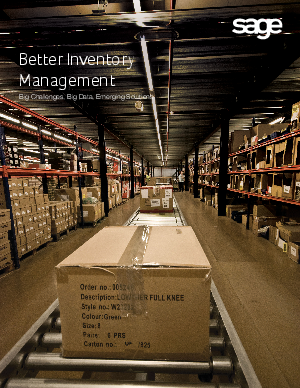 On paper, the concept of inventory management seems easy enough. In simple terms, it can be summed up as the process of determining what items to stock, how many of each item should be kept on hand, and when orders should be placed for more. Unfortunately, inventory management is much more complex in practice. The factors that complicate the process fall into two broad categories: 1) conflicting objectives across various segments of each company, and 2) the tentative nature of both supply and demand.